This 60-minute phone session will reveal your three Soul Languages, why they are important, what they mean, how you’re using them and how you can start using them to create success in your life. You will get an audio recording of your session as well as written definitions and meaning of your three Soul Languages. 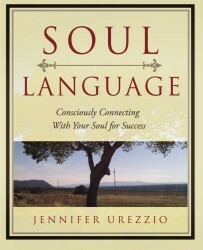 Having your Soul Languages identified gives you a tool you can work with on a daily basis. Through understanding your three Languages, you can attract others that speak one of your Languages to help feel supported and connected. You can also attract others who speak other Languages to help you achieve a specific goal. After you purchase a Soul Language ID Session, we will contact you to schedule your session.